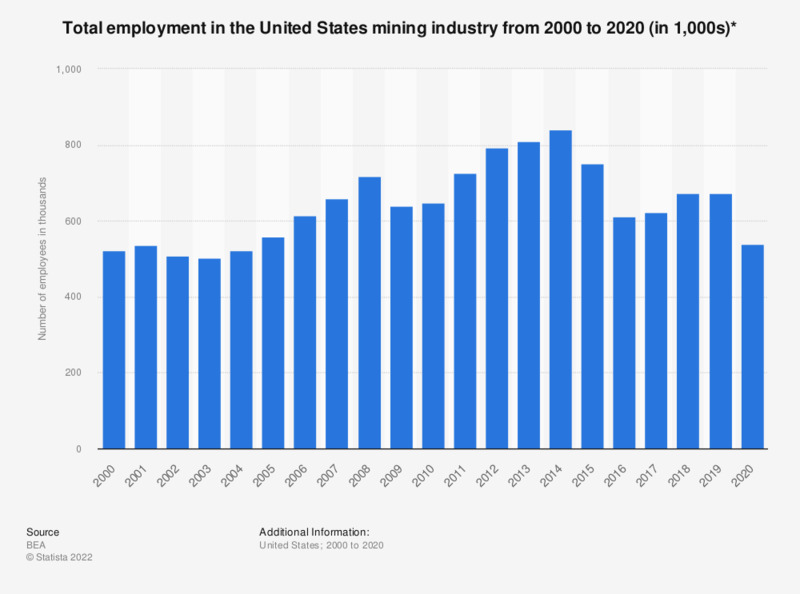 This statistic shows the number of people employed in the United States mining industry from 1998 to 2017. In 2017, there were some 621,000 people employed by the U.S. mining industry. The U.S. mining industry has been active since colonial times, and continues to be an important industry. * Including oil and gas extraction, mining except oil and gas, and support activities for mining. Including full-time and part-time employees.